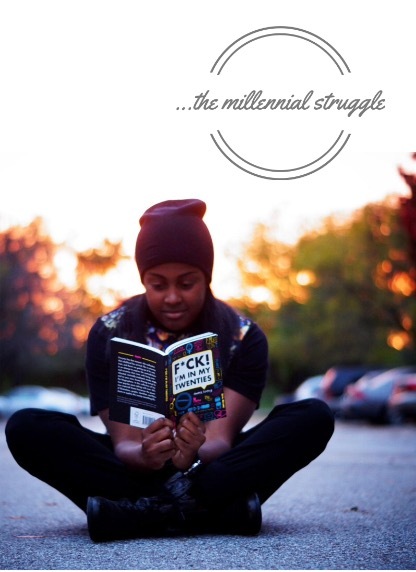 Random Ish / the millennial struggle. For pretty much the same reasons, except for instead of pictures, it may be a funny little quote or positive tidbit from someone’s day. But I hate it when people give their daily itinerary. I’m sorry, but I don’t really care that you’re going to the mall and then you went to the bathroom and then you went to visit your grandma. Use those 140 characters for some substance…or at least something funny! Because people will give 3 seconds of themselves smoking weed….like 4 different times in their story…maybe change the background music, but that’s it. Like why in the world do you think someone cares about that? I mean we all post stuff people will never actually care about. That definitely goes to the bottom of the list. I don’t have a Snapchat personally because I already feel a little too connected but I’ll lean over my boyfriend’s shoulder to watch the ones that come up on his account; often disappointing. Because people think it’s a diary. When you’re going through something in your life, it’s okay to vent. But some things are not for your thousands of friends to know. Sometimes you just need to make a post and save it as a draft or something before you put it out there and can’t take it back. You don’t have to spill your tea ALL the time. Save yourself a sip or two at least. I’ll literally scroll through an endless amount of posts that range from motivational quotes to the latest baby mama/baby daddy drama; both interesting but I’d rather see more of one than the other. Social media is designed to build and keep connections that you may not otherwise have. Its not really supposed to be about showing yourself off, which is how most people use it. This is what we know, so this is what we do; me included. But I guess I’m just waiting for that one time where the person actually posts something I like; anticipating something positive. Long story short: keep showing the cool stuff but please, spare me your life story and selfie photo collage.